In this paper, we present the analysis and development of a cross-platform OpenCL parallelization of the Cellular Potts Model (CPM). In general, the evolution of the CPM is time-consuming. Using data-parallel programming model such as CUDA can accelerate the process, but it is highly dependent on the hardware type and manufacturer. Recently, OpenCL has attracted a lot of attention and been widely used by researchers. 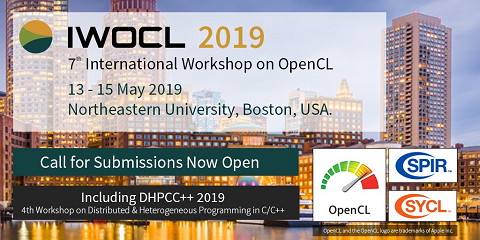 OpenCL provides a flexible solution, which allows us to come up with an implementation that can execute on both GPUs and multi-core CPUs regardless of the hardware type and manufacturer. Some optimizations are also made for both GPU and multi-core CPU implementations of the CPM, and we also propose a resource management method, MLBBRM. Experimental results show that the developed optimized algorithms for both GPU and multi-core CPU have an average speedup of about 30x and 8x respectively compared with the single threaded CPU implementation.